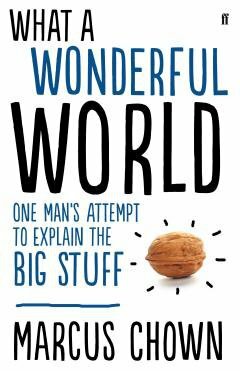 What a Wonderful World, Marcus Chown, published by Faber and Faber, 2013. Even Smith recognised that a true free market is a myth. It would be deemed unacceptable by the overwhelming majority of people. A free market would, for instance, permit a trade in anything and everything – including child labour. Once upon a time such a trade did indeed exist in countries such as Britain. But, nowadays, it is pretty much universally agreed that child labour is unacceptable, and stringent regulations are put in place to prevent it. In addition to regulations controlling what kind of labour may be traded, there are also regulations that severely limit or forbid the trade in goods deemed dangerous to society such as heroin and plutonium. And it is not only the goods that can be traded that are regulated, so too are the companies that are permitted to trade. In order for a company sell its “shares”, for instance, it must be “listed” on a "stock market". But, before this is possible, there is a rigorous vetting process which may last up to five years. Even when finally listed, a company is permitted to sell shares only to “certified traders”. And, if the share price drops below a certain level, trading in the shares may be suspended for a “market holiday”. “Market forces don’t exist in a vacuum,” says Joseph Stiglitz, author of The Price of Inequality. “We shape them.”  “All markets are not only constructed and regulated but constantly manipulated,” says Ja-Hoon Chang, author of 23 Things They Don’t Tell You About Capitalism. Perhaps the most striking way in which the market is straitjacketed and defined by political decisions is seen in the wages of workers. These are wildly different for comparable jobs in different countries. For instance, a taxi driver in London may be paid about 30 times more than one in Dacca, Bangladesh, in terms of the goods he can buy locally. If a free market existed, the wages of taxi drivers would all be roughly the same. After all, if a taxi driver in Dacca was unhappy with his level of pay, he would simply relocate to London, where he would be paid a lot more. With taxi drivers shuttling back and forth around the globe in search of better pay like this, sooner or later the wages of all taxi drivers would equalise. However, taxi drivers cannot easily upsticks and move around the globe because most countries have erected high and impenetrable barriers to immigration. These are the principle explanation for why those wages are so wildly different between countries. If something as fundamental as the reward that people receive for their work is is overwhelming determined by political decisions rather than “market forces”, then the free market must be a mythical beast. Everywhere, the market is tightly constrained by regulations imposed from outside. Nowhere is it free - nor would any civilised country allow it to be free. The idea that a free market will optimally match the supply of goods with demand has consequences. Those who believe in the idea push for deregulation of more and more of the economy. If the market does not work in delivering what they hope for, they say the reason is because the market is not free enough, and push for yet more deregulation. However, such deregulation is widely believed to have triggered the serious global financial crisis of 2008 when big financial institutions such as banks embraced very risky investments . But a free market not only permits risky behaviour that can threaten the global economy itself. It can have a more direct and malign effect if imposed on developing countries. If such a country wants to create, say, a motorbike industry, then to get things going it may subsidise motorbike manufacture while, simultaneously, protecting its fledgling industry by imposing tariffs on imported motorbikes. This will often provoke developed countries to complain to the World Trade Organisation that the country is preventing a free market in motorbikes. The WTO can then authorise trading partners to impose sanctions on the developing country unless it removes its subsidies and its protective measures. It of course does. The problem is that, when an industry is in its infancy, it is nowhere near as efficient as a mature industry. Also, its identity, or “brand”, is not well-known or respected. Consequently, the motorbikes being built by the developing country cannot compete in either quality or price with imports, and the industry dies. Contrary to the free marketeers’ mantra, the free market has not made a poor country richer. At best, it has left it to stagnate. The big irony here is that the rich countries of the world all got rich by both subsidising and protecting their fledgling industries over periods of many decades. For instance, 19th-century Britain, by imposing prohibitive tariffs on imported Indian textiles, effectively destroyed the Indian textile industry. It was then able to sell the products of its own textile industry to the subcontinent. Earlier, in the 18th-century, Britain had used protection measures in order to catch up with The Netherlands. And, in the 19th century, the US used exactly the same tactic to catch up with Britain. "In forcing a free market on developing countries, the rich countries seem to have forgotten their own histories," says Chang. "Not surprisingly, those in developing countries find the double-standards deeply annoying." Behind the faith in the mythical free market is the belief, already mentioned, that such a market will optimally match up supply and demand. Market advocates talk of this being achieved by the "invisible hand". No one is able to define it but everyone claims it is working behind the scenes. Alan Greenspan, former chairman of the US’s Federal Reserve Board, has even stated that the market is simply “too complex for anyone to understand”. Simultaneously promoting the market and believing it to be too complex to understand is to trust the lives of billions of people to an unpredictable system. The market has undoubtedly played a key role in delivering a rising average standard of living to much of the world’s population over the past few centuries. However, it has also delivered massive environmental problems of pollution, habitat destruction and, most seriously global warming caused by the burning of fossil fuels such coal and oil. To say that the market is too complex to understand is to accept that the fate of the human race - global warming threatens to extinguish human life, though not life itself - is out of our hands, that we are at the mercy of the caprices of fate. “The conservative argument is that the economy is like the weather, that it just operates automatically,” says Sidney Blumenthal, former adviser to President Bill Clinton. Almost without exception, economists since Adam Smith have considered that the free market is in a state of equilibrium, naturally balancing people’s conflicting aims and desires. This, however, rather contradicts reality. Every decade since 1776, there has been a crash, bust, downturn, depression or slump. Economists often say that such events are merely unusual external shocks to a market. But there are so many of them that such an explanation is wearing a little thin. “The pronounced frequency of market upheavals is precisely what is most constant in economics,” says physicist Mark Buchanan . The market has a peculiar and counterintuitive feature. Large fluctuations in prices are more common than expected. Our intuition of everyday life, for instance, tells us that most men weigh between 9 and 13 stone, a few weigh 20 stone, and a very few 40 stone. This conforms to a so-called Gaussian distribution, more commonly known as a Bell Curve because of its similarity with a bell jar. An upturned bell jar is fat in the middle and tapers off far from its centre. This is exactly the shape you would see if you took a piece of graph paper and plotted the weight of men along the horizontal axis and the number of men at each weight of men up the vertical axis. Like the bell jar, the distribution of the weights of men clusters around an average and tails of rapidly far from the average. Contrast this, however, with fluctuations of the market. In a typical day, the price of stocks changes by less than 2 per cent. But it is possible to have a fluctuation of 20 per cent or 50 per cent. This would be like there being men weighing 10 times the average. Or 25 times. Mathematicians say that, unlike the Bell curve, the distribution of market fluctuations has a “fat tail”, which is just a technical way of saying that extreme events are far more likely than our everyday intuition would predict . “A credible economic theory – something we do not yet have – would explain why the distribution of market returns shows such a preponderance of large events,” says Buchanan. In fact, according to Buchanan, market movements conform to a very simple mathematical pattern. Larger movements of, say, 10 to 15 per cent, are less likely than movements of 3 to 5 percent. In fact, the probability of a movement of any size decreases in inverse proportion to the cube of its size. So, if moves of 5 per cent or more have a certain chance of occurring, moves of 10 per cent or more are 23 = 8 times less likely; and moves of 20 per cent or more are another 23 = 8 times less likely. This striking pattern, which is seen in markets for stocks, foreign exchange and futures, is reminiscent of a whole range of natural phenomena, from solar flare activity to frequency of mass extinctions to frequency of earthquakes on the San Andreas Fault . “All these systems and many others exhibit a naturally irregular rhythm in which long periods of relative quiescence are sporadically broken by bursts of intense upheaval,” says Buchanan. If a financial market is a system in equilibrium it is hard to see why market movements should behave like earthquakes. But it makes more sense if a market is merely another system, like the Earth’s crust, which is constantly driven out of balance by various forces, and responds to those forces in complex, dynamic ways. Some of the converts to the new “econophysics” are calling for a new Manhattan Project for economics. With the wellbeing of 7 billion plus people depending on the global economy, it would arguably be money well spent. Greenspan has said that such products are “too complex to regulate” because nobody understands them. In fact, says Chang, they are designed to be opaque, to obscure. “Then, if they go wrong, it is impossible to determine why or to determine who is responsible.” This was particularly true of the 2008 crisis, in which hardly anybody has put up their hands and accepted blame. Chang believes it is irresponsible and dangerous to introduce gratuitous complexity into the market. He makes a comparison with drugs, which the pharmaceutical industry must rigorously test, often for many years, before they can be safely released into the world. He believes that there should be a similar rigorous testing of financial instruments or any schemes that increase complexity of the market. Only then would we be confident they would not destabilise the market. But, actually, the malaise with the market system may go deeper than the complex financial instruments that played such a role in destabilising everything in 2008. Proponents of the market system talk of it being a “natural state”, the economic analogue of the web of life created by Darwin’s theory of evolution by natural selection. But this, according to the Hungarian economist Karl Polanyi, is the biggest myth of all. In his influential book, The Great Transformation, he made the case that the market system is a relatively recent innovation . The laws and regulations that made it possible were introduced by the governments of modern states beginning in the late 18th century. Laissez-faire was planned. It was an integral part of the Industrial Revolution. Before this time, claimed Polanyi, many financial transactions were as much about gaining social status or reinforcing social bonds as about making money. “Land, labor and money itself were not regarded chiefly as commodities to be bought and sold,” writes David Bollier, author of Silent Theft. “They were ‘embedded’ in social relationships.” In other words, people were motivated by the interests of a family, clan, or village rather than by mere self-interest, the defining feature of a market economy. According to Polanyi, the Great Transformation turned land, labour and money into abstract commodities and encouraged the belief that they could be exploited without limit to deliver eternal growth. Such growth is measured by Gross Domestic Product, which is the monetary value of the production of all goods and services in an economy. However, if an economy is to continually grow, people must continually spend, which is possible – for a while - only if people borrow money so their debts accumulate on a massive scale. Perpetual growth is of course unsustainable. And the consequences of trying to achieve it are serious. “Because markets treat nature as essentially limitless and human beings as commodities, they are always pushing human societies and nature to the breaking point,” says Bollier. This pursuit of profit without concern for the consequences has brought the planet to the edge of ecological disaster. According to Polanyi, the Great Transformation also encouraged the belief that the free market is pure and divorced from society, which ignores the fact that labour involves people, who have lives and loves, hopes and dreams. In 2013, across Europe and America, human talent and industry is being wasted on a huge scale as governments employ “austerity” measures in an attempt to pay for the excesses of the market system. “We need to enlarge the scope of political conversation to include such questions as: How shall we re-integrate market forces into society so that they can be constructive and not disruptive?” says Bollier . The economic policies pursued in the US and much of Europe before the 2008 financial crisis involved not only deregulation but privatisation of public services and low taxes. There was a widespread belief among politcians – even Centre-Left ones such as Bill Clinton and Tony Blair - that a new era in economic history had been entered and that an economy fuelled by massive debt was sustainable. In reality, what was being fuelled was a financial ‘bubble’, which, in common with countless other historic analogues, from the South Sea Bubble of the early 18th century to the dot.com bubble of the late 1990s, was bound to burst. See False Dawn: The Delusions of Global Capitalism by John Gray (Granta Books, 2009). The Problem of Social Cost by Ronald Coase (1960). The Black Swan: The impact of the highly improbable by Nassim Taleb (Penguin, 2008). The Great Transformation by Karl Polanyi (1944). The Picture of Dorian Gray by Oscar Wilde (1890).